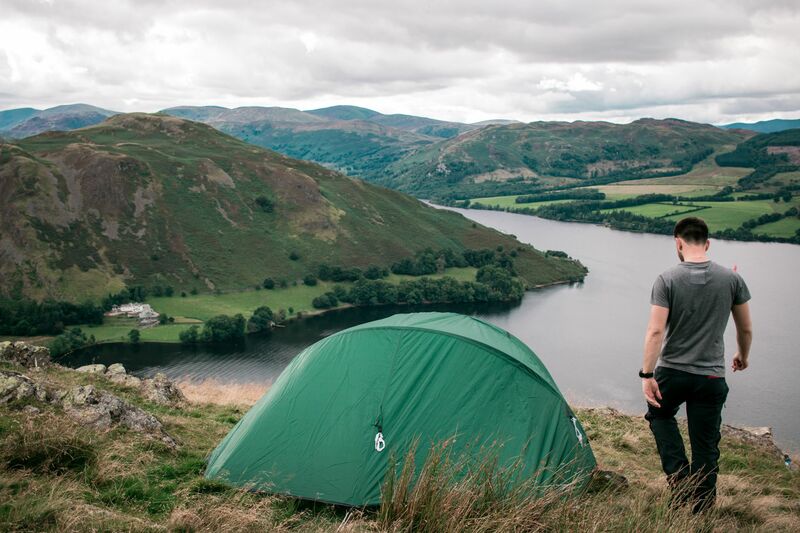 When it comes to wild camping, there's no better place for an adventure than the Lake District. There's no feeling like getting away from everything and venturing out into the great outdoors. 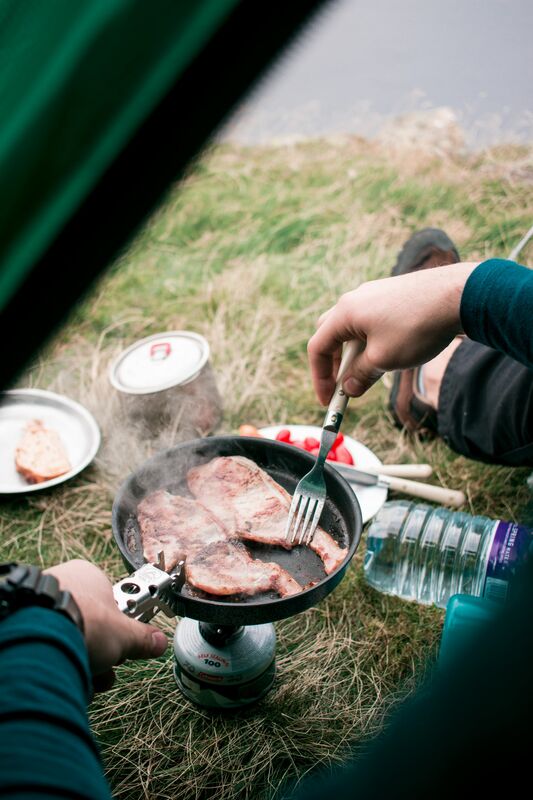 Sure, wild camping doesn't come with all the creature comforts of home. But if you're looking for adventure, I'd definitely recommend it. If you caught my last post on wild camping, or you've been following my Instagram then you'll have seen that I recently tried it out for the first time. And after spending weeks researching our trip, I thought I'd share a little beginner's guide to wild camping. Just in case you're thinking of planning your own trip. 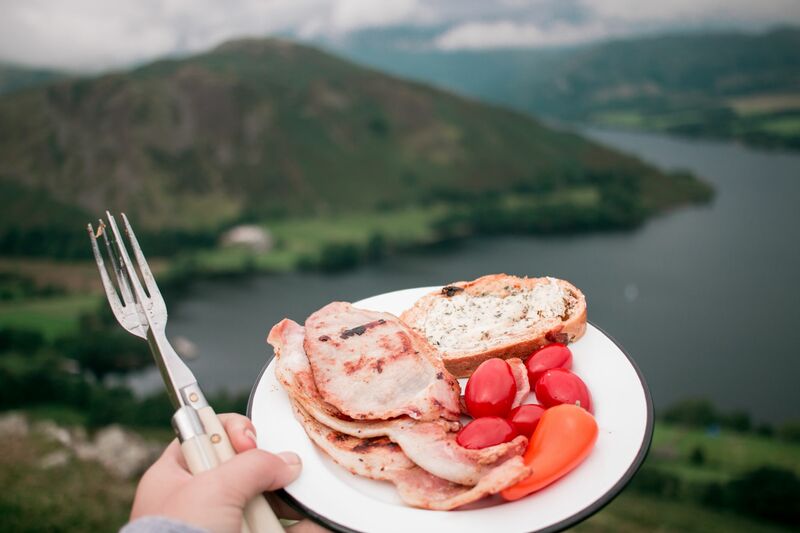 Although wild camping is not technically legal in England, in the beautiful Lake District there's something of a tradition for wild camping, so generally people will turn a blind eye. That isn't to say that you can just pitch up wherever you feel like though and there are guidelines that you should follow to help protect the national park. 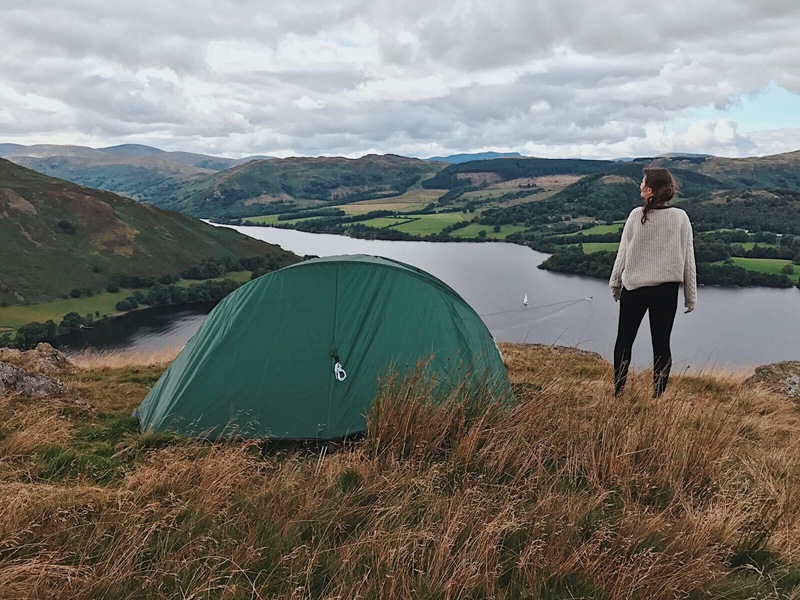 This isn't an exhaustive list, but if you're looking for a guide to wild camping that gives you an idea about all the essentials (and a handy little checklist covering the bare minimum that you'll need to take with you), then this is it! Just don't ask me to share my exact location... 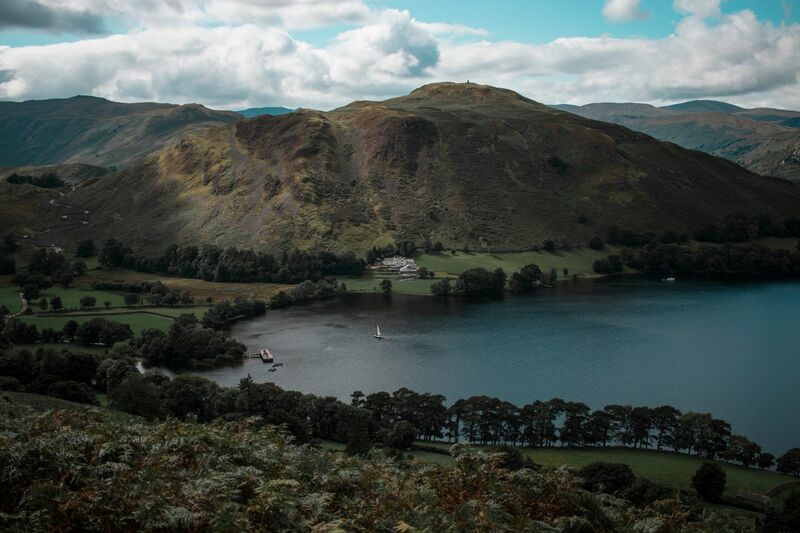 I will let you know that we camped somewhere around Ullswater, but in the tradition of all wild campers, I'll be keeping our little spot a secret! Strictly speaking, wild camping isn't legal in the UK. But you really shouldn't let that deter you. Especially if you're considering a wild camping trip somewhere particularly remote! 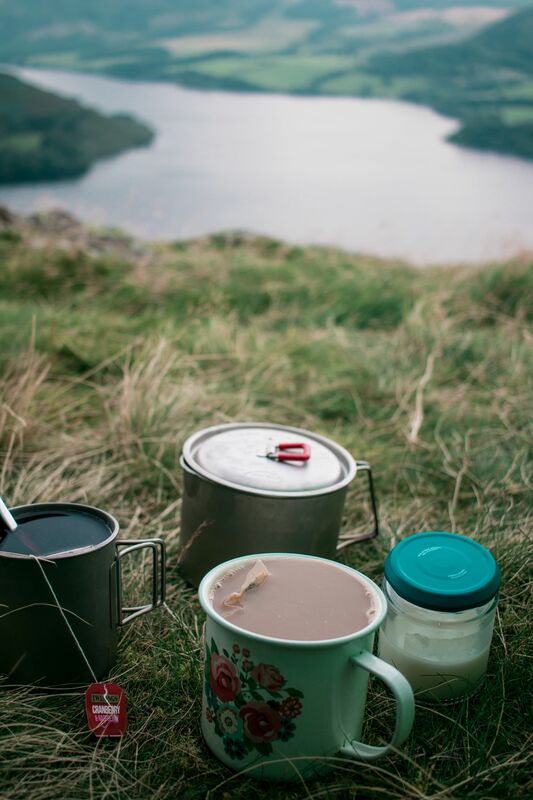 The Lake District is an ideal choice for most people and with a long tradition in wild camping, it's generally pretty well tolerated by locals. Provided you choose a camping spot well away from villages and towns. When it comes to finding the perfect camping spot, the good old OS is your best bet. Their detailed maps offer a much better view of the parks and all its hidden spots than Google maps ever will. Plus, relying on an analogue resource is much more advisable when you're headed into areas of the park with little to no signal. 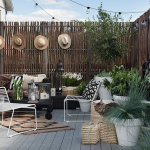 When it comes to finding the best spot to settle, you're going to need to consider three things: proximity to running water, that the point is elevated higher than the nearest stone walls and well away from footpaths and roads. As a general rule, your wild camping site should be as inconspicuous as possible - the idea of wild camping is to get away from everything, not get in other people's way. That means you should take a green or dark coloured tent and pick a spot that's not too out in the open. If you head high enough though, then you'll have nothing to worry about. You should aim to arrive at your chosen spot late afternoon / early evening and stay for just one night. And once you've found a great spot, don't tell anyone! You don't want your wilderness overrun with other campers, right? If you're looking for creature comforts, let's face it, wild camping probably isn't going to be for you. Mainly because you're going to hike to your chosen spot which might be a couple of hours away. And trust me, you really don't want to be adding any unnecessary weight to your pack. Hiking up mountains ain't easy at the best of times. Finding a light weight tent is an essential for lightening your pack's load. Ours was from Terra Nova, weighed less than a kilogram! One of the first rules of wild camping is to protect the land itself! That means leaving no trace when you pack up your campsite. 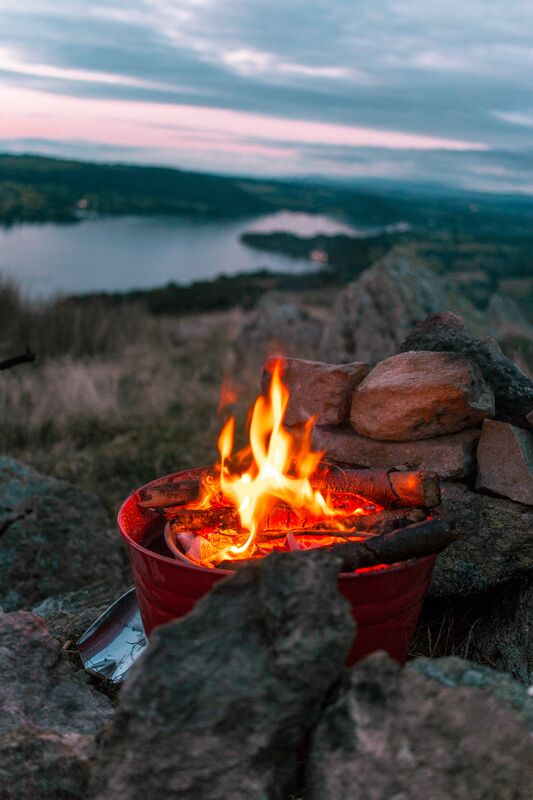 Since the Lake District is protected, it's frowned upon to light fires - so it's especially important to consider that if you'd like a campfire, it's going to need to be contained. Since we knew that we'd want a fire, we decided to bring along a little bucket BBQ. We picked up one quite cheaply from Morrisons, but you can find similar here! We thought that a little bucket BBQ would be ideal because it could serve as a grill for cooking on and a little campfire without us causing any damage to the grass or vegetation around us. It fit quite easily into my 65l backpack alongside my clothing and the rest of our cooking equipment, and was pretty lightweight so I'd definitely recommend taking one. Another point that's worth noting is that if you are planning on having a little campfire, you're going to need to either pack your own firewood or gather it on the way to your chosen site. The hills and mountains in the Lakes are very bare with only relatively small plants growing so you'll not find much to keep the flames going once you're up there so make sure you're all stocked up before you set up camp! Last but not least, at least not in my book, make sure that you pack a few treats for after dark! Whether it's a pack of cards or some campfire snacks. Whenever I go camping or I'm somewhere quite remote, I forget how dark it can get. And there's nothing better than enjoying the crackle of a campfire after dark while you stuff your face with smores! We cheated a little and got an easy smores fix with a bag of marshmallows and a pack of chocolate digestives. 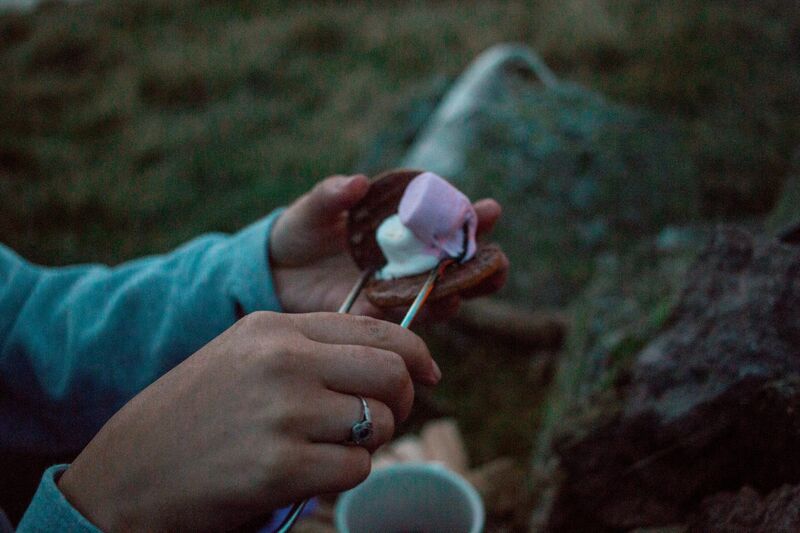 Toast the marshmallows on the fire and once they're nice and gooey, squish them between a couple of biscuits! Easy. Trust me, this is one little treat you won't resist cramming into your backpack! Fab tips! Wipes are definitely an essential. Whenever we try and find campfire wood from our surroundings it’s just never dry enough so we always like to take our own too.